Under increasing pressure from the Sangh Parivar and Bharatiya Janata Party (BJP) workers, the government on Friday took several steps, including the withdrawal of the most favoured nation (MFN) status to Pakistan, to defuse public anger over Thursday’s terrorist attack in Jammu and Kashmir. At least 40 Central Reserve Police Force (CRPF) troopers were killed in the deadliest terror attack on security forces in the Valley when a suicide bomber rammed his explosives-laden SUV into a CRPF bus in Pulwama district. Pakistan-based terror outfit Jaish-e-Mohammed has claimed responsibility for the attack. The Cabinet Committee on Security, headed by the Prime Minister, met on Friday morning and decided to withdraw MFN status granted to Pakistan in 1996. The move would enable India to increase the customs duty on goods coming from the neighbouring country. 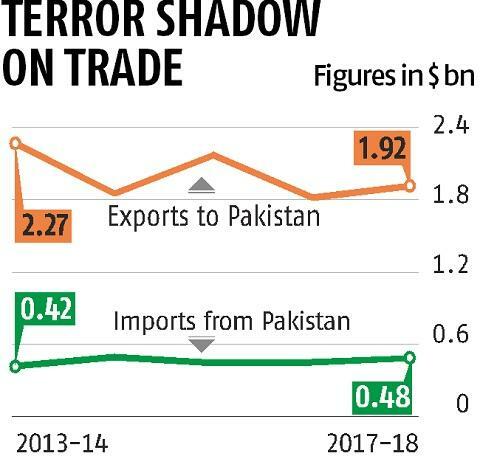 However, trade experts said direct trade between the two nations was not substantial, and Indian products reached Pakistan via Dubai. Arun Jaitley, who resumed charge as finance minister after a gap of over a month, said after the CCS meeting that India would take all steps to isolate Pakistan globally and ensure perpetrators of the terror attack were brought to book. 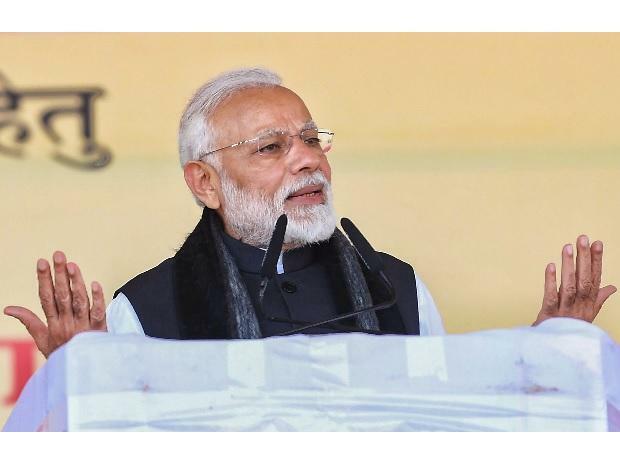 Prime Minister Narendra Modi, who inaugurated the Vande Bharat Express, India’s first semi-high speed train in the morning, and addressed a public meeting in Jhansi in the afternoon, said the neighbouring country could not weaken India by orchestrating attacks and those responsible would pay a “very heavy price”. “Security forces have been given complete freedom, the blood of the people is boiling...Our neighbouring country, which has been isolated internationally, thinks such terror attacks can destabilise us, but their plans will not materialise,” Modi said, without mentioning Pakistan by name. Home Minister Rajnath Singh travelled to Srinagar to review the situation and lay wreaths on the mortal remains, which were later flown to Delhi where the PM paid his respects. 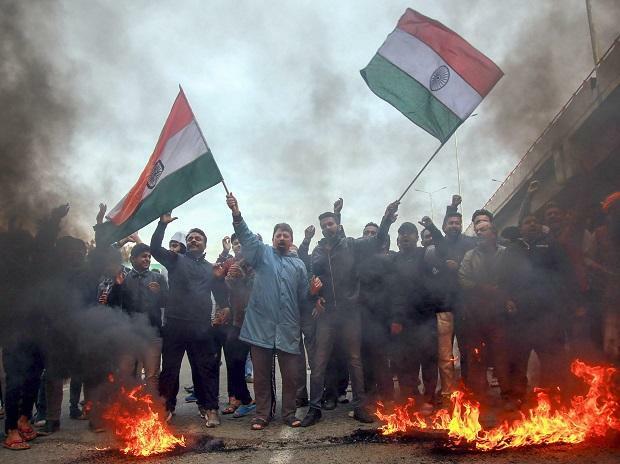 Prohibitory orders were imposed in Jammu after violent protests against the attack. Singh said he had instructed the state government to ensure communal harmony. Sources said the Centre was mulling replacing Governor Satya Pal Malik, a career politician, with a retired army man or bureaucrat. The government has also called an all-party meeting on Saturday morning, with chances of emotions reaching a crescendo as bodies reach the hometowns and villages of the killed CRPF jawans. Several state governments announced monetary compensation for the families of the deceased jawans. The Ministry of External Affairs (MEA) asked Ajay Bisaria, India’s high commissioner in Pakistan, to reach New Delhi for consultations. Foreign Secretary Vijay Gokhale summoned Pakistan’s High Commissioner to the MEA and issued “a very strong demarche” demanding that Islamabad take “immediate and verifiable action” against Jaish-e-Mohammad. The MEA also held meetings with the envoys of the P-5, the five permanent members of the UN Security Council. China condemned the terror attack but did not give an assurance to India that it would back New Delhi’s appeal to list the UN-proscribed JeM chief Masood Azhar as a global terrorist. Congress President Rahul Gandhi said his party and the rest of the Opposition would support the government in all its actions and stand by the jawans. Former prime minister Manmohan Singh said the country shall never compromise with terrorist forces. Speaking in Jhansi, Modi said the terror attack was an outcome of the neighbouring country’s desperation as it was in a bad shape and had been forced to go to different countries with a "begging bowl" to meet even its daily expenses. In Srinagar, the Union home minister said civilian traffic would be restricted during movement of army and security forces convoys. In a reference to Hurriyat leaders, he said security provided to people receiving funds from Pakistan and ISI needs to be reviewed. The Sangh Parivar continued to up the ante on the issue for a second successive day. VHP international working president Alok Kumar said terrorist bases in Pakistan must be destroyed and expressed hope that the Indian government would respond to it "resolutely, firmly and effectively".